Iranian President Hassan Rouhani will attend the summit of Shanghai Cooperation Organization (SCO) on September 13 in Kyrgyz capital of Bishkek. Rouhani is to hold one-on-one talks with Russian President Vladimir Putin on the sidelines of the summit. Shanghai Cooperation Organization was founded in 2001 in Shanghai by the leaders of China, Russia, Kazakhstan, Kyrgyzstan, Tajikistan, and Uzbekistan. Iran, Afghanistan, India, Pakistan, and Mongolia have observer status at SCO. Previously, some western sources attempted to hasten Pres. 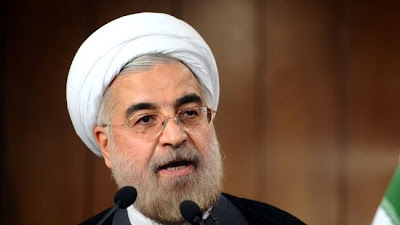 Rouhani's schedule and have suggested that the nuclear enrichment negotiations should be held in August.. He proposed to Russia that September deadline and Putin has expressed his gratitude for that Iranian proposal. Apparently they will try to design an agreement for a temporary steps in nuclear enrichment's issues, where Iran will wait; during that not to long period, for lifting all major sanctions and Russia will simultaneously make a delivery...and lift...sanctions. Iran should be seeking full membership of SCO.